입도식 체험 입도식을 하고 천도식을 올리는 과정에서 체험한 몇 가지를 공유할까 합니다. 입도식을 한 그날 밤, 꿈을 꾸었습니다. 제가 도장에 있는데 많은 성도님들이 “잘 들어왔다”며 축하해 주었습니다. 이후 도장에서 수행을 할 때 눈앞에서 푸른색이 뿌옇게 보였다가 사라지기를 반복하였습니다. 또 갑자기 눈 덮인 하얀 설산이 너무나 생생하게 나타나서 기분이 좋아졌습니다. 천도식 체험 제가 천도식을 준비할 때였습니다. 당초 천도식을 2015년 11월에 하기로 날짜를 잡았습니다. 하지만 사정상 여의치 않아 2016년 1월로 연기하였습니다. 그리고 꿈에 돌아가신 부모님과 함께 식사를 하고 있었습니다. 제가 막 숟가락을 뜨려는데 아버지께서 제 밥그릇을 빼앗아 가면서 “넌 먹지 말아라.” 하셨습니다. 그러면서 방구석으로 가셔서 드시는 것을 보았습니다. 아마도 천도식을 연기한 것 때문에 화가 나신 듯 보였습니다. 정성수행 체험 천도식을 올리기 전 정성수행을 하려고 마음먹었습니다. 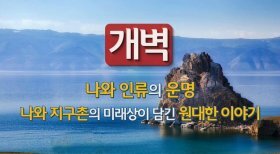 1월 7일부터 21일간 직장 퇴근 후 약수터에서 청수를 떠다가 도장에 가서 저녁 청수를 모시고 수행하기로 작정하였습니다. 그런데 귀찮은 마음에 집에 있는 정수기 물을 떠다가 청수를 모셔야겠다고 마음을 돌려먹었습니다. 그러자 1월 6일 밤 꿈에 도장에서 국조삼신 신단의 청수를 모시고 있는데 청수 뚜껑이 바닥에 떨어지면서 뚜껑 한쪽이 깨져 버렸습니다. 그리고 옆에 있던 어떤 아주머니가 “물은 저기가 좋아.” 하면서 손으로 가리켜 주었습니다. 포천의 약수터 중에서 물이 제일 좋은 곳이 무례골 약수터인데 그곳을 가리켜 주는 것이 신기하였습니다. 다음 날부터 무례골 약수터에서 청수를 떠서 청수를 모셨습니다. 정성수행 중에도 체험을 하였습니다. 꿈에 집안에서 잔치가 벌어진 광경을 보았습니다. 한쪽 방에서는 아주머니들이 노래를 부르고 툇마루에서는 교자상을 여러 개 연결하여 많은 사람들이 마주 보며 웃으면서 음식을 먹고 있었습니다. 제게는 결혼도 못 하고 젊어서 죽은 여동생이 있었습니다. 그 여동생이 꿈에서 머리를 단정히 하고 옷을 깨끗이 입고 치장을 하고 어디를 가야 한다며 나가는 모습을 보았습니다. 천도식 후 3일간 체험 천도식을 올린 후 다음 날부터 3일간 다음과 같은 꿈을 꾸었습니다. 첫째 날에는 20살쯤 되어 보이는 처녀가 냇가에서 목욕을 하는 모습을 보았습니다. 장면이 바뀌면서 그 처자가 어떤 집에서 나오면서 물 한 그릇을 제게 떠 주었습니다. 물을 먹고 제가 “예전보다 많이 이뻐졌네.”라고 말하였습니다. 어려서 죽은 큰 누님인 듯했습니다. 둘째 날은 비포장 신작로에서 많은 사람들이 저에게 걸어오는 모습이 보였습니다. 그중 다른 사람들 얼굴은 잘 보이지 않고 5~6살 된 여자아이의 모습만 또렷이 보였습니다. 원피스를 곱게 차려입었는데 얼굴이 너무 생생하게 보여 지금도 그림으로 그리라면 그릴 수 있을 정도입니다. 5~6세 때 죽은 작은 누님인 것 같습니다. I had a series of experiences when I was initiated in Jeung San Do and offered a Cheondosik. Let me share these experiences. On the night of the initiation ceremony, I dreamed that I was staying in the dojang. Then, many practitioners came in and congratulated me for being a JSD Ilkkun. At one point when I was practicing meditation, a blue light repeatedly appeared and disappeared. At another point, a snow-covered white mountain came into view. It was so vivid that I found delight in seeing the mountain. I also had an experience while I was preparing to offer the cheondosik. The ritual was originally scheduled to take place in November, 2015. But due to circumstances beyond control, the rite was pushed back to January, 2016. I had a dream around that time. I was having dinner with my late parents. As I began to eat with my spoon, my father took my bowl of rice and said, "Do not eat." And he walked into the corner of the room and ate it. It seemed that he was angry over the delayed cheondosik. 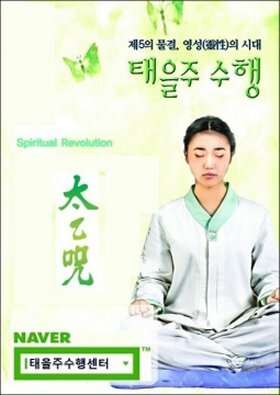 Before offering the cheondosik, I decided to begin devoted meditation for 21 days. I decided to go to the dojang everyday after work, offer fresh water--I could get water from a nearby mineral spring--and practice meditation from the seventh of January. But I felt too lazy to keep the promise so I changed my mind, deciding to offer fresh water at home instead. 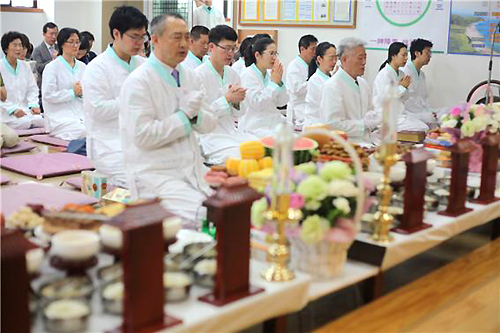 Then, on the night of January 6, I dreamed that I was performing the offering of cheongsu at the dojang. I failed to hold on to the lid of a bowl of cheongsu and it fell to the floor and was partially broken. There was a middle-aged woman next to me pointing toward a mineral spring, saying "The water is good there." I looked in the direction she indicated, and saw the Muryegol mineral spring was located there. The spring is regarded as the best one in Pocheon when it comes to water quality. I was really amazed. From the next day onwards, I began to get water from there and offer it in the dojang. Beginning the day after the cheondosik, I had the same dream for three days in a row. On the first day, there was a maiden bathing in a stream. As the scene changed, the woman went out of a house and offered me a bowl of water. After drinking it, I said to her, "You look much more beautiful than before." I suppose that she was my older sister, who died young when I was a kid. On the second day, many people were coming towards me on an unpaved road. I didn’t recognize them, apart from one girl. She looked five to six years old and wore a pretty dress. The image of her was so vivid that even now I can draw a detailed picture of her. I suppose that she was my other older sister, who passed away at the age of five or six. On the third day, my mother, dressed in formal attire, was holding the Dojeon at her side and leaving the house to study. There was also a teacher giving a lecture on a low wooden platform. 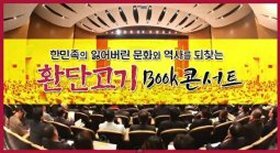 My mother attended the lecture while reading her Dojeon. I attribute that to my offering the Dojeon to her during the cheondosik.